What a nice neighborhood tucked away from everything. 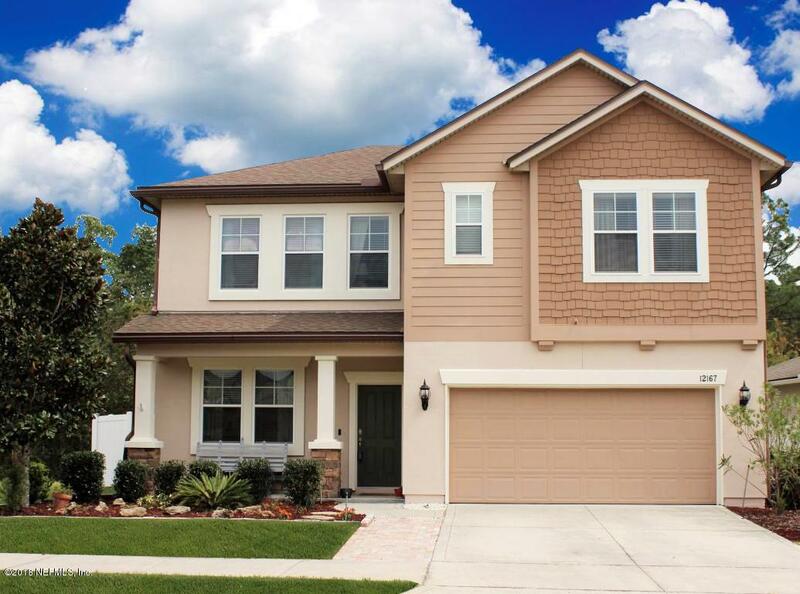 Greenland Chase is located in Mandarin, but close to Southside area near movies, restaurants and shopping and only a short drive to the St. Johns Town Center. 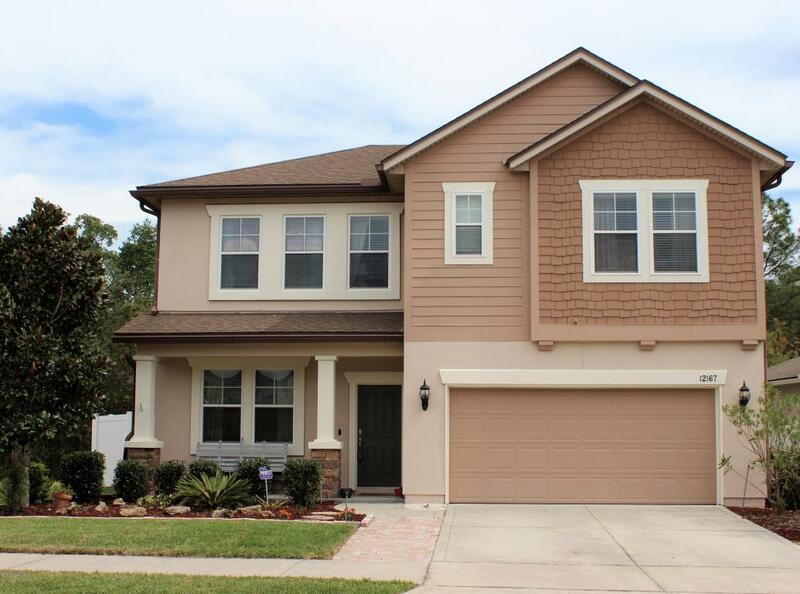 This home has 3 bedrooms and 2 1/2 baths, with an optional 4th bedroom. The downstairs room is being used as an office now and has beautiful French doors. The family room is large and open and connects to your eating area and kitchen. 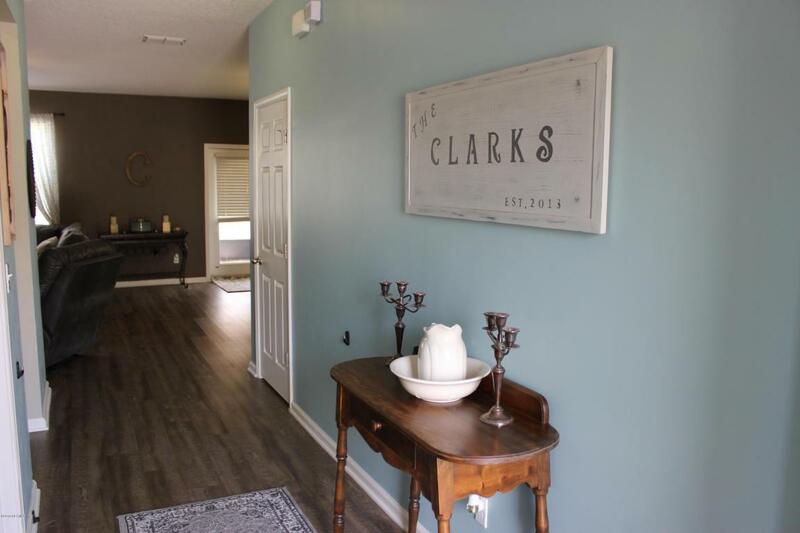 The plank style flooring is breathtaking as you enter the home. It flows through the down stairs area. 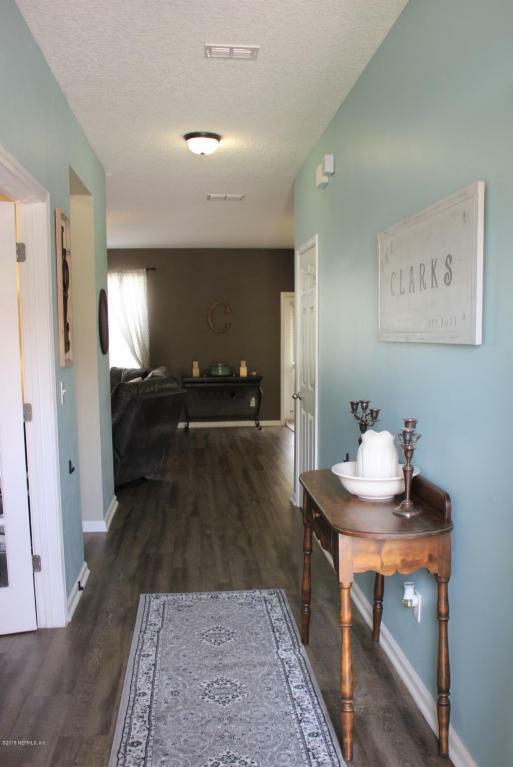 The kitchen features upgraded rectangle shaped tile flooring, an island, stainless dishwasher, espresso cabinets with brushed nickel handles, and a pantry closet.Upstairs you have two secondary bedrooms, a loft area, and a huge master suite. The master is large enough for your a king size bed, a sitting area and all of your other furnishings. The master bathroom has an oversized shower with upgraded tile, tile accents and frameless glass. You also have a separate garden tub, expresso cabinets with dual sinks and the same beautiful plank style flooring as downstairs. Off of the eat in kitchen you have a screened patio overlooking a huge, fully fenced back yard on a preserve lot. Also beside the home is a large open green space providing an extra outdoor area for you and your family. Enjoy the extended paver patio and walkway down to a sitting area with a fire pit. This home has full gutters, an irrigation system, an alarm system, and is situated on a cul-de-sac lot. The community features a pool, sand volleyball court, tennis court, soccer fields, and play ground areas. A must see!